Part of the Pittenweem Arts Festival, Pittenweem, Scotland – Inspired by the art of Angus MacPhee. Initiated and curated by Joyce Laing. I have known about Angus’s powerful work for nearly 30 years. For this exhibition I wanted to make a piece which honoured and respected Angus and his art. 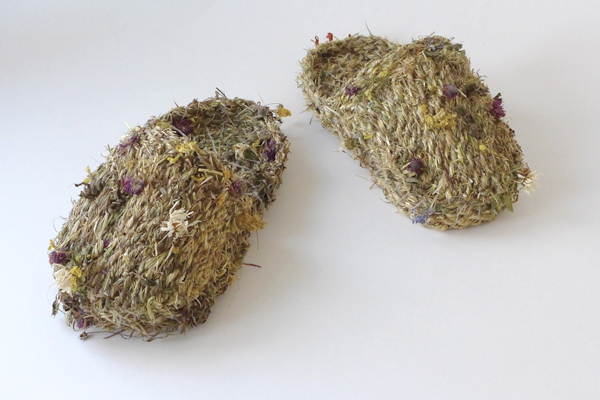 ‘Gu Aonghais’ a pair of slippers for Angus are made using grass mixed with the flowers of the meadow. These plants are typical of the habitat of Angus’s youth on South Uist. 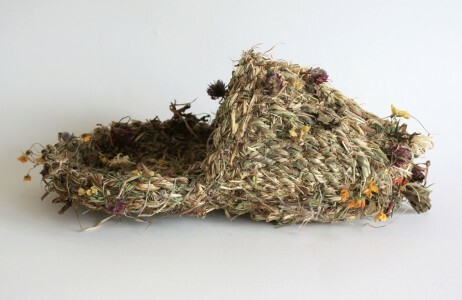 An offering of a pair of grass slippers fit for a gentle giant who, like me, was addicted to making rope from plants. 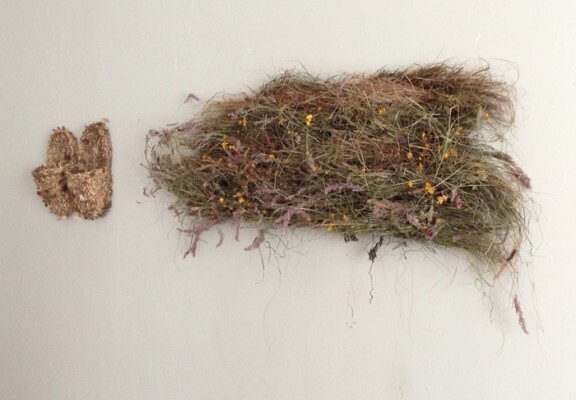 The slippers are accompanied by a grass mat, ‘Woven landscape: grassland’ a small sample of woven landscape. The intention was to provide a place for the slippers to sit when not wearing them.